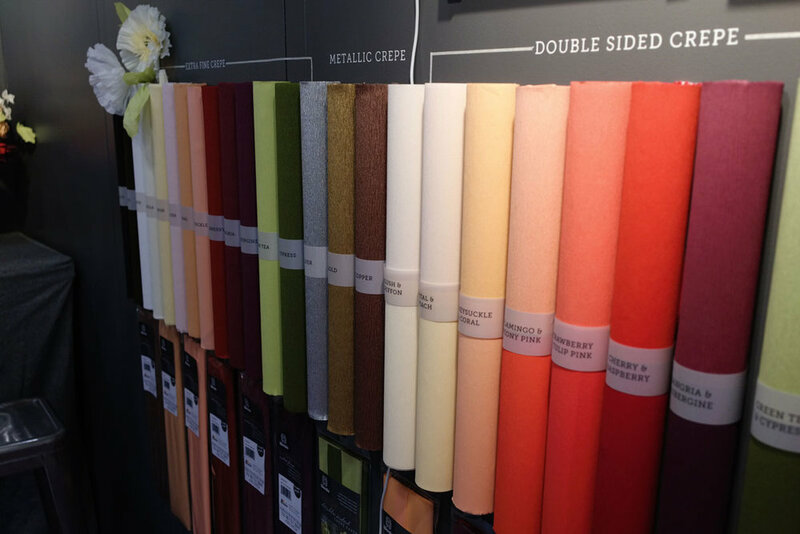 In the Company of Inspiration | Lia Griffith's Artist Interview Series — Paper Rose Co.
That May I happened to be at the National Stationery Show where Lia Griffith and her team were also introducing her new line of crepe paper. I timidly approached them and mentioned I'd been dabbling with paper flower making, asking for some information about their products. I was an amateur at best, but they didn't care—they graciously sent me samples upon my return from New York. Their generosity was motivating and inspiring, and it made me feel included in a movement. 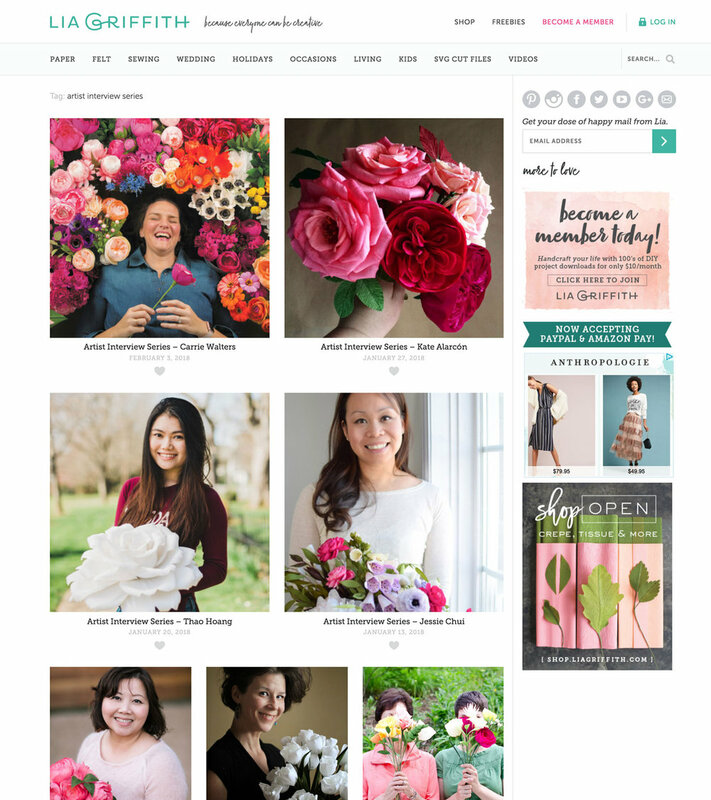 I've worked extremely hard over the past year to push my skills and grow my business. I've turned down work to open up more time for this craft because I truly feel like I've found my calling. I love making flowers, working with paper, creating tiny pieces of art. I've kept in touch with Lia's team and last month they asked me if I'd participate in their artists' interview series. I couldn't believe it! Me? In the same series that I've been happily reading for the past few months, that includes the very women that helped to inspire me to pursue this venture in the first place? Absolutely! I'm so honored even to be considered in the likes of this group of women. They are genuine artists, and sources of inspiration for myself and so many others. Thank you, Lia and your team for supporting and promoting us and our craft. And thanks to the incredible women in this group for being you! 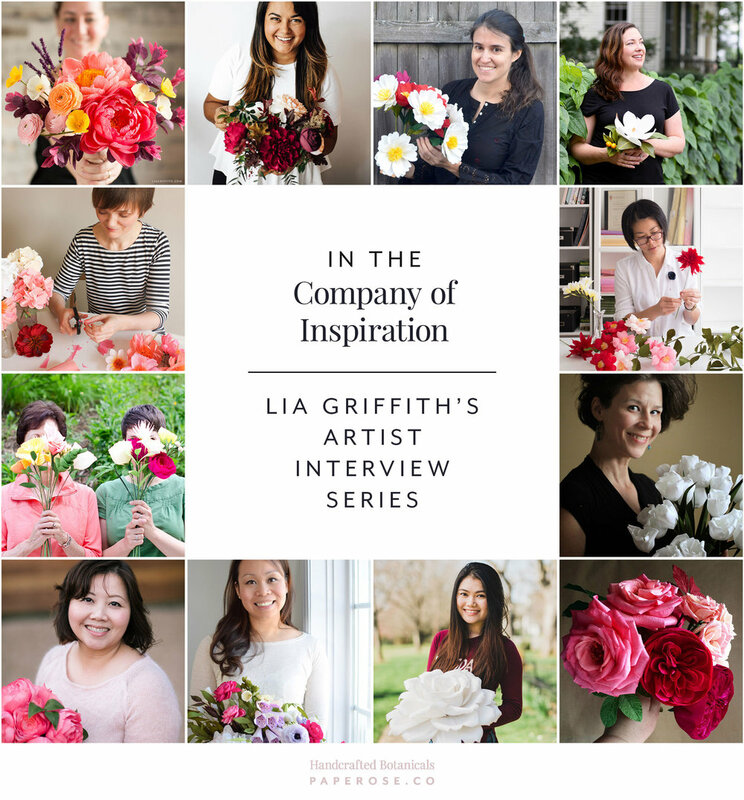 Read my full artist interview on Lia Griffith's site. And the complete series of interviews can be found here.